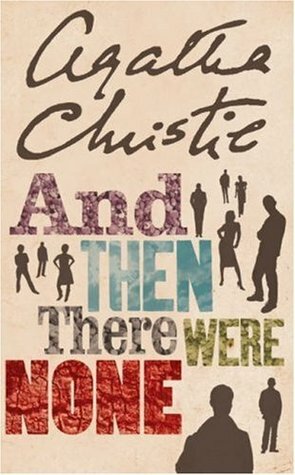 And Then There Were None, a murder mystery by Agatha Christie. I had been going through reader's block since long and the review I am writing is breaking my writer's block. First things first. Agatha Christie who is dead long back, as Wikipedia says. I have started admiring her writing skills after reading this book. The kind of reader I am, I generally despise all that is archaic, written long back and has pale pages. But this one has changed my perspective to some extent. 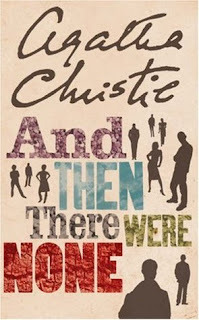 I am going to get another Agatha Christie book now. About the book, its a murder mystery. Ten people are invited by the murderer on an abandoned island for a house party and are murdered one after another. The only clue for every consecutive murder is a childhood prose. As and as the plot unfolds, reader's curiosity to know the murderer grows. The end is unexpected. The mystery unfolds itself unpredictably. The end will amaze you. If I write any further, it would be a spoiler! I rate this book 4 on 5 and recommend it to those who want a shift of genre from fiction to mystery. This is my first mystery novel but not the last one for sure.